eat, drink & be vegan: Another Amy's Giveaway! I adore the folks at Amy's. Remember this giveaway? Well, Amy's has another generous giveaway to you, my lucky readers. And it is sweet! I can't wait to try that pizza! Have you seen it yet (it's shipping out to stores this month)? Ok, to enter, leave a comment on this post. (And, have you seen the new Margherita pizza yet?) Contest open to US and Canadian residents only; only one comment per person eligible. Wow, this pizza looks amazing. I hope I win! Oh this is a lovely giveaway! Looks fabulous! Would love to win. I haven't seen that pizza yet, but their mac-n-cheese with Daiya is an awesome guilty pleasure/comfort food! This looks fantastic, a generous giveaway from an excellent company! Yippppeee! And, no, have not seen the pizza yet. But I'm pretty deep in the boonies. I LOVE Amy's! What an awesome giveaway!! I love Amy's products! I had the dairy- and gluten-free mac 'n cheez the other day... SO GOOD! I LOVE Amy's! What an amazing giveaway - thank you so much! Awesome giveaway! We love Amy's! :o) Thanks! I love all their GF vegan food! Wow that's one heck of a giveaway! Fingers crossed! Great give away, got to love Amy products. What a fun giveaway! I haven't seen the pizza at the grocery yet, but now I may have to ask the manager about getting it!! Amy's food is awesome-I'd love to win! Nice prizes Dreena! I'm feeling lucky! 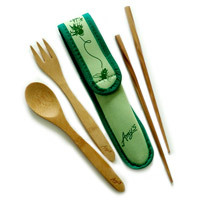 I could really use a new bamboo fork...the points on mine have dulled down a lot! Oooooh, I haven't seen the pizza yet, but my wife and I loved Amy's pizza before we went vegan; it was the perfect thing for those nights when both of us got home late and neither wanted to cook. I would love to win this! 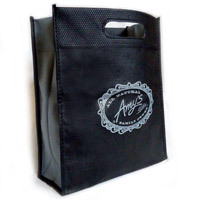 I could use a new lunch bag! And that cutlery set it adorable. Oh yummy! That pizza looks deeelish! Love Amy's and love pizza! Wow, everything looks amazing. I think I am in love with those Amy's magnets, they are too cutee!!! That lunch kit looks really great! I love the cutlery set! I haven't seen the daiya pizza here (Wisconsin) yet, but hope to soon! Oh my gosh! Being a totally broke college student (I have 3 jobs and more than the allowed number of classes, yet I still manage to have zero spending money..? ), I've been really eating a lot of rice... chop sticks have been on my list of things to get. This giveaway is AWESOME! I love Amy's and I *really* love those magnets. Haven't yet seen the pizza, but I'll keep an eye out for it. Love that the pizza uses Daiya cheese. Can't wait to try it! How fun-- thanks Amy's and Dreena. I'd love to try some of their products. I'm looking forward to seeing that pizza in stores around here! I like making my own, but it'll be nice to have the option of a ready-made one for those times we need something quick and easy. That pizza looks delish! I love their roasted veg pizza, but sometimes some "cheese" is fun! Also I love the lunch bag and cutlery set! I want to win just for the coupons! yes please!!!!! that lunch bag is so cute! Wow, I would love to win. I'm interested to try the noodle bowl. I will keep an eye out for the pizza, looks good too. I love Amy's! I haven't seen the pizza out yet but I'll be watching for it. I'm so sad I can't get their dressings here anymore esp. their Green Goddess! I love the little cutlery set! No more plastic forks! I have yet to try Amy's pizza but I love the burritos, they are delish! Yum! I love Amy's! Especially the vegan mac & cheese. Oooh! The pizza looks amazing and i really hope to find it in local stores soon!! Very awesome and amazing things! Thank you Amy's, so much love for you. I love Amy's! I cannot wait to find that pizza! wow wow wow this giveaway looks amazing!!! i am a college student who is vegan so i will DEFINITELY take all the vegan goodness i can get. :) so fun! Amy's is getting more and more vegan-friendly every day! I can't wait to try that pizza - haven't seen it yet. What a wonderful giveaway! And that pizza looks wonderful. Yum! I would love to win! Thanks for the giveaway! I love Amy's cheddar bowl with tofu! I <3 Amy's! I travel a lot for work, and Amy's frozen dinners are my go-to when I'm lucky enough to have a microwave & freezer in my hotel room. I love the pizza and cutlery set - thanks for the giveaway! i love love love amy's and am so excited to find the vegan pizza in a shop near me! love your blog, too - keep up the good work! Mmm...Amy's! My family would be so happy to win! 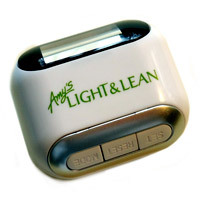 Amy's products are such great quick guilt-free products. Especially for healthy meals for my kids. I would be thrilled to win! I would love to win this package! Amy's is amazing food that is still healthy! Do you know when the Light and Lean entrees will be available here in Canada? Thank You! That pizza looks so yummy! I haven't seen them by me yet, but now I'll be watching. What a generous and awesome giveaway! Thank you for all you do! Yum, we buy amy's burritos! Can't wait to try the pizza:) that cutlery set is awesome! I haven't seen the pizza yet, but I'd like to try it! WOW! Another Amy's giveaway! We are so lucky!!! And you are so fabulous, Dreena! THANKS!! That cutlery set is super adorable, and that new pizza looks divine! Love Amy's products. The giveaway looks great. Love Amy's! I also love that cutlery set, super cute. I love Amy's, that pizza looks great! I am a HUGE Amy's fan and would love to win! The cutlery set is my favorite part! Love Amy's! I totally need that lunch set. Thanks for the giveaway! I adore Amy's! That cutlery set is cute. I love Amy's products! Great giveaway! Thanks for hosting the giveaway! Great group of products! Oooh, great stuff! I love Amy's foods. They are great to have on hand in a pinch when I need a quick meal! I love Amy's! I can't wait to try the Sweet and Sour noodle bowl! 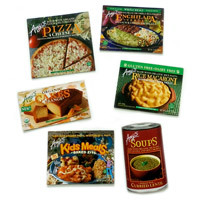 Amy's is the best when it comes to frozen specialty foods! I've also always loved that they were near my community in NorCal. I would love to win this - I don't get to eat their stuff nearly enough (OK, in my opinion ;p). Wow! What a giveaway! Thanks to you and thanks to Amy's! There are a lot of Amy's products that I haven't tried that I would love to! Oh man do I love Amy's! It got me through college! While everyone else was eating terribly processed crud I was using my school dollars on Amys! Love the soups and burritos, can't wait to try some new stuff! As a midwife, I eat on the run A LOT. The lunch bag - particularly the cutlery set would make my life so much easier - and less wasteful, which is what I'm really excited about!! I would love to win!! Food looks very yummy! I love Amy's, especially their vegan Mac 'n' cheeze! That Asian Noodle meal looks really good. I can't wait to find that in the stores! WOW! What an awesome giveaway. It would make back to school a lot happier! That Asian Noodle meal looks good. I can't wait to find that in the stores! OMG I love Amy's stuff. A frozen pizza with Daiya? AWESOME! Awesome give away! I have been trying to find wooden cutlery for a long time! sweet! 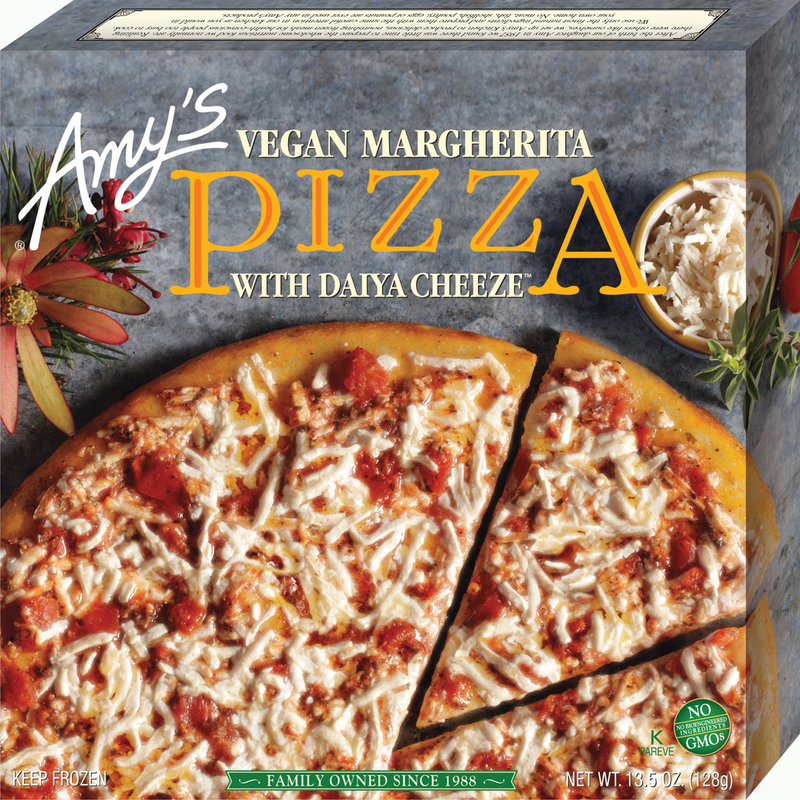 I haven't seen the new Amy's pizza yet, but do love the other products. I can't wait to try the Margherita pizza! I would love to win this giveaway! I have never won anything...this would be a great first one, lol! Amy's is AWESOME. What a great giveaway - thanks. Looking forward to your forthcoming recipes! Being the poor college student that I am I could really use some free vegan swag. That is a great bunch of loot! Eeek! Looks like an awesome giveaway! I've been craving pizza so that vegan margarita pizza looks AMAZING right now!! What a fun giveaway! Here's hoping!! Looks delish...can't wait to try! I love Amy's stuff - awesome giveaway!! Awesome give-aways - have not tried a vegan pizza yet - who has them? Whole Foods, Fresh Market, Trader Joe's, who? Thanx, Namaste! Wow! A giveaway from my favorite food company! On my favorite blog! How awesome! OMG! Why is this pizza not in my stomach yet?! 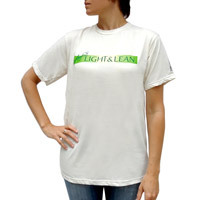 Can't wait to try the Light & Lean!!! Thanks for the giveaway opportunity! I love Amy's pizza with carmelized onions and sundried tomatoes. Such a great treat! Love your blog, so much fun to read! Ooh! Great new products. I can't wait to try that pizza! ooh, me me! pick me! I looove Amy's. Thanks for hosting another giveaway! Looks great! What a fun giveaway. What a great giveaway. We love Amy's products!! nom nom nom!! How exciting they finally have a frozen daiya pizza! Love Amys stuff! Lovely giveaway! I'll end up spending the whole thin on their amazing chili. Thank's Amy's! Oh that looks so yummy! I love Daiya and I love Amy's. What a great combo! 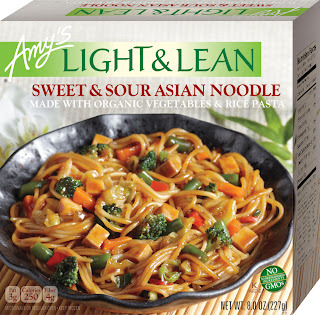 I would love to try some of Amy's vegan products. LOVE Amy's stuff! Hope I win! Oooo yeah! I <3 Amy's stuff! And I miss pizza, so now I know what to get! Those magnets just kill me! I absolutely love Amy's products! They really come in handy when you're a vegan on the go. I'll be looking for that pizza today when I'm at the grocery store this morning! I love the Daiya Mac and Cheese with broccoli added for great comfort food. Thank you Amy's! Would love to win! looks delicious! I'd love to win! I became a vegan about four months ago and haven't tried any vegan cheese yet! My grocery doesn't carry the vegan Amy's yet, so I might have to trek it to whole foods for this! Excited to hear about the vegan margarita pizza! Thanks for the entry! Yum in a bag! 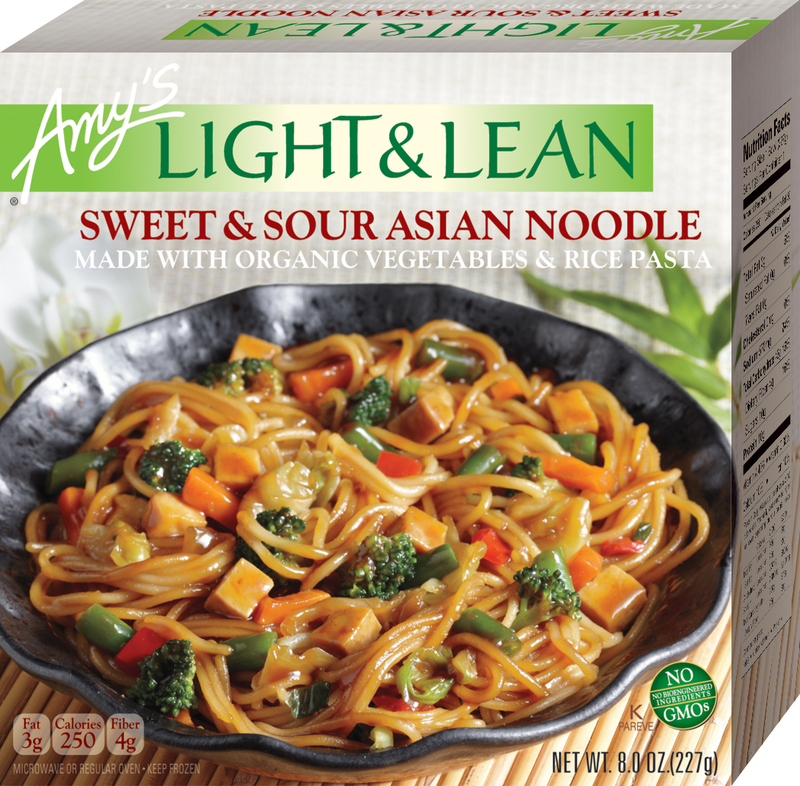 Love Amy's stuff, convenience food for the veg friendly. I LOVE Amy's products as a whole - I've never tried the pizza you mentioned, but I am somehow sure I would love it :-) Thank you! I've always been pleased with Amy's products! This is amazinggggg! Thank you! This is such an exciting giveaway! I haven't seen the pizza yet but I fully intend to try it once it finally arrives! Amy's makes some great products. I'm pretty sure I ate my weight in breakfast burritos in undergrad. looks fabulous .. i like pizza looks so amazing and yummy ..
woah i need to try that pizza...i haven't seen it in stores near me here in NC but i am gonna be on the lookout!!! Oh pick me! Pick me! Wow! That's a bundle. I've been craving Amy's food for weeks! I've been looking for a good vegan pizza! Also this giveaway looks awesome.